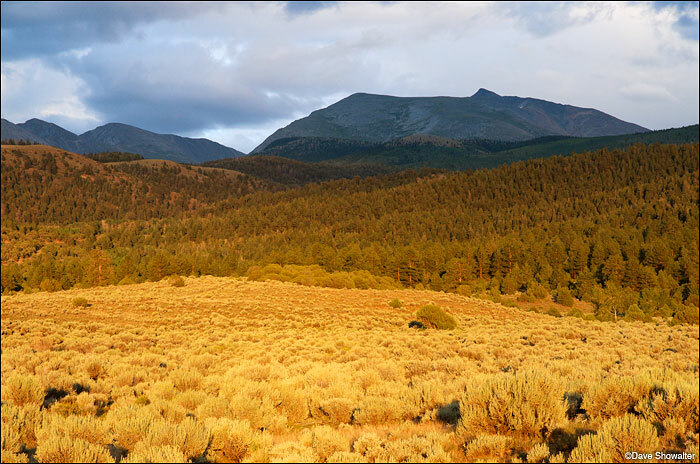 Warm sunset light turns sagebrush gold below Culebra Peak (14,069') on Cielo Vista Ranch. 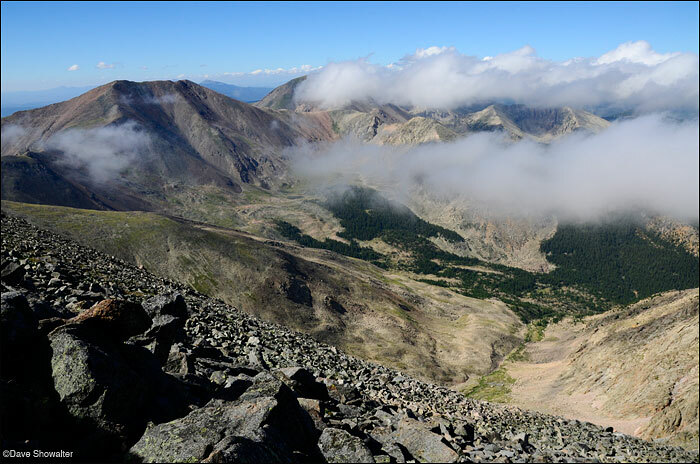 We were paying guests of the ranch, there to climb the only Colorado 14er on private land. I wasn’t sure we’d ever be here, but Annie invited us via Steph, who’s down to her last three 14ers, and well, here we are outside of the gate to Cielo Vista Ranch with plans to climb the only Colorado 14,000 foot peak on private land. We’re just a few miles from New Mexico and there’s a festive atmosphere, with climbers setting up camp, cooking, and talking about 14ers. A lot of climbers save this one for the end, choosing to climb all of the free mountains on public land first. This one costs $100 for camping and a day of climbing – another $50 if you want to tackle Red Mountain, and surrounded by like-minded folks, I’m warming to the experience. 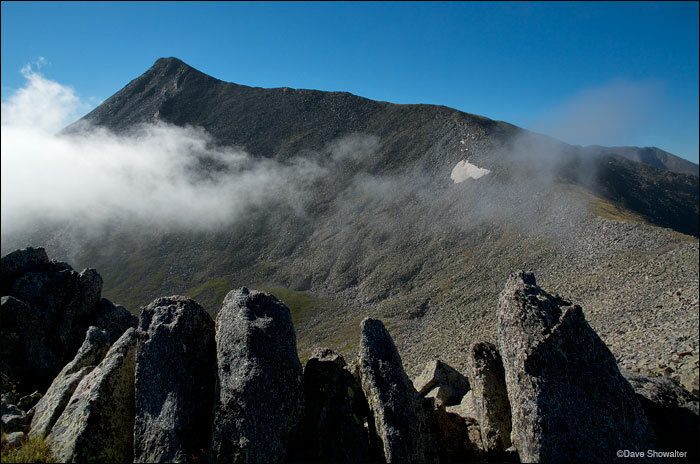 There’s no logical explanation for paying to climb, Colorado has thousands of beautiful peaks on public land; but if you want to summit all of the 14ers, you’ll wind up here eventually. Landowners these days are diversifying all sorts of ways, and we had just come from Zapata Ranch, where dude ranch hospitality compliments bison and cattle ranching. Cielo Vista opens the gates of the 77,500 acre ranch to paying guests climbing Culebra and private elk hunts in fall. Hunters pay ten large for the chance at a trophy elk. Our plan was to camp out as guests of the ranch, meet Carlos, the ranch manager at 6 a.m. when he opens the gate, take care of formalities, and climb the peak the next day. Marla, Annie, and Mike from our group, along with Brian (greenhouse guy on 14ers.com) and Jay (slow-moving fun-seeker on 14ers.com) at dinner time outside of the Cielo Vista Gate. Cielo Vista provides a camping area with Port-A-Potty for climbers. Carlos explains climber fees and trailhead access to the climbers at ranch headquarters. Carlos arrives at 6 a.m. sharp and leads the group through the gate to this staging area where we handed in our waivers and paid the fee. Mike, Annie, and Marla silhouetted against rising clouds in morning light. Read further to find out about the cowboy garb. Ascending the harmless snake, the translation for Culebra and named for the ridge that winds to the summit. We reached the high trailhead and immediately started climbing the serpentine ridge. I quickly realized there are no trails, you just make your way up the steep tundra slope. Culebra Peak (14,069') encircled by morning clouds from a high approach ridge. Culebra is on the Cielo Vista Ranch, the only Colorado 14er on private land. We paid the fee to climb and had a great experience on the mountain. Culebra is the high point of the Culebra Range, part of the Sangre De Cristo Mountains, and just seven miles from New Mexico. Vermejo Peak (13,723'), part of the Culebra Range of the Sangre De Cristo Mountains rises above valleys of the Cielo Vista Ranch. We were climbing Culebra Peak (14,069') as paying guests of the ranch and had a great day above timberline. Annie and Mike Goodwin climb on talus and Boulders near Culebra’s 14,069′ summit. Talus rock standing on end marks the summit of Culebra Peak (14,069′). Katie, Steph, Mike, Annie, Marla, and Me on the summit. By wearing the cowboy gear, we were helping Katie in support of 14ers For Freedom, supporting survivors of human trafficking. A funny thing happened up there – the aggressive marmots stole Katie’s cell phone. She chased the marmot into his hole, scared him enough to leave, and got her phone back! Marla descends 13,906′ Red Mountain with Culebra Peak in the background. We ended the long day by descending the summit ridge, then dropping 1,800 vertical feet to the high trailhead, finishing as a thunderstorm consumed the Culebra Range. Was it worth it? You bet! While I’m sure there are fully-formed opinions about paying to climb, owning a mountain range, private land access, and the like; I’m of the opinion that large expanses of intact ranchlands, managed responsibly are rare in the West, and paying for the priviledge to climb, hunt, birdwatch, ride horses, whatever, is a small price to pay for a sustainable West. Things are complicated, especially at Cielo Vista, and I welcome your opinions. Posted in Colorado Mountains, Ranching on August 8, 2012 August 8, 2012 by Dave Showalter. ← Previous: "Zapata Ranch Ahhhh!" We did change our tune on this one. It was worth every penny with you and the gang we climbed with. The ranch lands were magnificent and I think we all felt privileged to be there. Thanks for the great blog and your perspective! You’re the best! Yep, we sure did and had a joyful day up there together too! Let’s do it again sometime soon, ok? I agree to pay as long as the money is not used to buy a new TV for the rancher. You and Marla have been busy lately! Funny, at least the price of flat screens is going down. Summer is hectic, but living in Colorado is a good problem to have, eh? Thanks Barb! We’re fortunate to live on such a remarkable planet. Wouldn’t it be great if we took care of it? Great set! I love the silhouetted hat-wearers shot. And that first Culebra shot with the clouds and foreground rocks, well, I’ll be asking for that one in the future. Now, I need to go seek out part 2 of this series, I missed it! Thanks Cloudman, you know how it goes – it’s way past cinammon light by the time you get on the ridge and I was happy to have clouds stick around to make things interesting. Climbing in an ill-fitting cowboy hat? Not so much. Great write-up Dave, to go along with some outstanding photos, as usual. I think it’s worth $100 of my money to know this ranch is being used in a sustainable way and will hopefully be around long after all the public land has been covered in ski areas and oil wells. Those are such cute puppies in that truck. Reminds me of the hell-hound from Zeppelin’s The Ocean. Great work Dave, glad we got to spend some time enjoying it with you two. Thanks Mike!You did an awesome job getting to the top and we had a blast hanging with you two nutjobs. Great photos Dave. I know everybody thought I was crazy for climbing Culebra a second time, but in my defense, I have to say that is is a unique experience and I do not regret doing it a second time. I experienced something my first time five years ago and then again this second time that I’ve not felt anywhere else: I experienced silence not as the absence of noise, but as a manifest, tangible presence that enveloped me. I’ve been on many summits alone–and had the entire mountain to myself–and never had that feeling. It was awesome! Hope to run into you guys again sometime. Thanks Jay! It’s now clear to me why you came back for another helping of Culebra. It’s a magical place with a climbing experience unlike any other. We’ll see you out there again someplace up high. We were not going to see any elk up that high, but it was the highlight of my trip, even though I got the biggest elk out of all the hunters. I will always remember with fond memories the sights of being up that high. It’s magical to be high on Culebra! Thanks for sharing your experience.